US-based The Natural Baby Co promises to provide products that are the highest quality, healthy, and environmentally friendly to parents throughout the world. They strive to empower customers with the knowledge necessary to make a positive impact on the planet through natural parenting. With Big Apple Buddy’s personal shopping service, you can now buy direct from The Natural Baby Co online store anytime, anywhere. 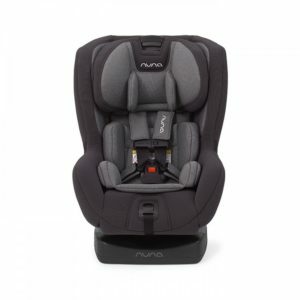 The Natural Baby Co Nuna Rava - Slate is the simplest and safest car seat designed with important extras to make installation and setup easy and fuss-free. It features laid back legroom, easy adjustments, and unique simply secure installation, to make car trips seamless for you and your child. The Natural Baby Co GroVia Hybrid Live Package - Organic Cotton is the ultimate diaper package, essential for 24/7 coverage. It includes 12 GroVia Shells, 24 GroVia Organic Cotton Soaker Pads and 4 GroVia Stay Dry Boosters, for all your baby's diaper needs. The Natual Baby Co Emeibaby Carrier is the perfect combination of a soft structure carrier and woven wrap. It offers the comfort and fit of a woven wrap with the functionality of a soft structure carrier. Adjustable rings also allow you to modify the size of the carrier as your baby grows. Unfortunately, the USA The Natural Baby Co online store does not currently offer international shipping. However, Big Apple Buddy, your personal shopper, can help you buy products direct from the official USA The Natural Baby Co online store and ship them to your doorstep, no matter where you are in the world. We offer international shipping to over 110 countries including Australia, Austria, Azerbaijan, Bahrain, Belgium, British Virgin Islands, Brunei, Bulgaria, Canada, Chile, Costa Rica, Croatia, Czech Republic, Denmark, Estonia, Fiji, Finland, France, French Polynesia, Germany, Gibraltar, Greece, Greenland, Hong Kong, Hungary, Iceland, Indonesia, Ireland, Israel, Italy, Japan, Jordan, Kuwait, Latvia, Liechtenstein, Lithuania, Luxembourg, Macau, Malaysia, Maldives, Malta, Marshall Islands, Mauritius, Monaco, the Netherlands, Netherland Antilles, New Zealand, Norway, Oman, Poland, Qatar, Romania, San Marino, Saudi Arabia, Serbia and Montenegro, Seychelles, Singapore, Slovak Republic, Slovenia, Spain, South Africa, St. Lucia, Sweden, Switzerland, Taiwan, Thailand, the UAE, the UK, Vatican City, and Vietnam. If you would like to buy from the USA The Natural Baby Co online store, simply let us know which items you would like to order (by filling out the form below) and we’ll get back to you with a free international shipping quote within 24 hours!